Plattsburgh's psychedelic folk grunge heroes return! 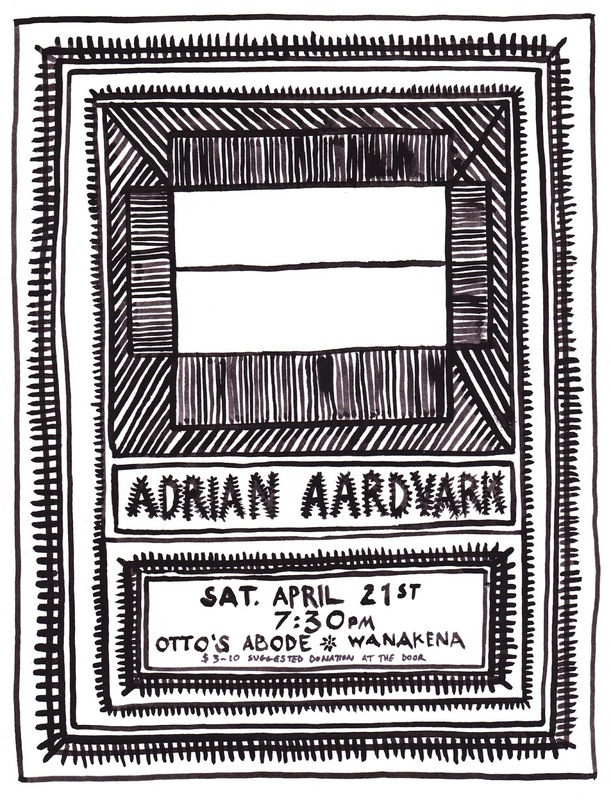 On April 21st join us for what will surly be an amazing evening of music and more... come early - stay late! $3-10 suggested donation at the door. And as you'll read below AA will be releasing their NEW ALBUM the day before! WOOHOO!! "Plattsburgh, New York 4-piece, Adrian Aardvark, offers a unique brand of rock and roll that is highly energetic, completed with costumes, theatrics, introspective lyrics, and solid grooves. Epifo Music will release Dying Optimistically on Friday, April 20, 2018 digitally and on CD. A limited edition vinyl edition will be available online via Bandcamp, adrianaardvark.com, and at Adrian Aardvark’s energetic concerts. "